Kate Mason has always found solace in her family's blueberry barrens. But are they giving her a false sense of security? Kate has devoted herself to keeping her family's blueberry barrens thriving. But when blossom blight devastates her blueberry fields, she's forced to come up with alternative ways to replace that income. Fixing up the small cottage on her property as a rental seems an obvious choice, but it won't be enough. When Drake Carver drives by with his two nieces in tow, looking not only for a place to rent for the summer but also for a nanny for the girls, it's almost too good to be true. Drake and Kate constantly lock horns; having never been a parent before, he gives his nieces free reign. Kate won't stand for their disrespect and keeps challenging Drake to set a higher standard. Even though Kate has given up on having children because of the chemo she had to take, she finds herself oddly drawn to this improvised family. But Drake begins to fear that he's putting Kate in danger as well. Meanwhile, Kate learns that her uncle—in prison for murder—has escaped. Add to that a stalker whose sights are set on her, and Kate is looking over her shoulder at every turn. With danger swirling from multiple directions, it may be a question of who gets to her first. 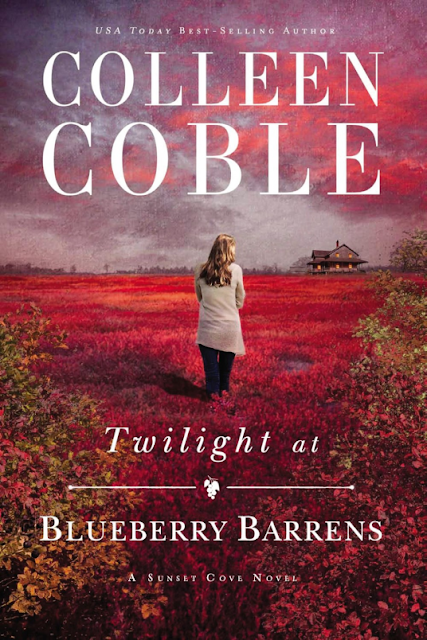 Twilight at Blueberry Barrens is a good read with strong plot and characters, but the way the point of view changed from paragraph to paragraph was really disconcerting to me. Having said that, I did enjoy the story.